To the Syrian people: The world stands with you against the brutal regime of Bashar Al-Assad. Know that time and history are on your side – tyrants use violence because they have nothing else, and the more violent they are, the more fragile they become. We salute your determination to be non-violent in the face of the regime’s brutality, and admire your willingness to pursue justice, not mere revenge. All tyrants will fall, and thanks to your bravery Bashar Al-Assad is next. To the Syrian military: You are responsible for protecting the Syrian people, and anyone who orders you to kill women, children, and the elderly deserves to be tried for treason. No outside enemy could do as much damage to Syria as Bashar Al-Assad has done. Defend your country – rise up against the regime! This is an impressive hack and worth checking out if you can view it before it is removed. If and when it is shutdown you can view screenshots and links via The Atlantic. 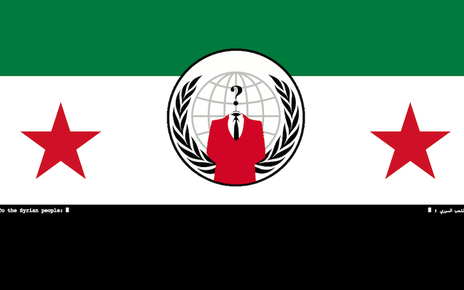 Tagged arab spring, hackers, technology.